The NCAA Selection Committee announced this year's Division 1 tournament brackets today and the #13-seed Terriers will head to the Northeast Regional in Worcester for a first-round meeting with #3-seed Cornell. The Big Red, who edged BU, 4-3, in Red Hot Hockey, lost to eventual ECAC champion Princeton, 4-1, in Friday's semifinal. 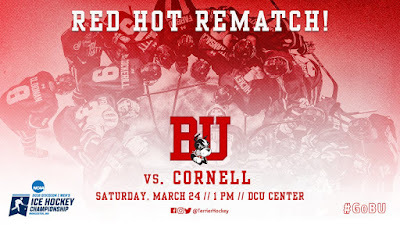 Terriers and Cornell will play the early game next Saturday, with puck drop at 1 p.m. Northeastern and Michigan are the other two teams in the Northeast Regional and will play later that afternoon. The Northeast Regional semifinals will air on ESPNews and Sunday's Regional final will air on ESPN2. 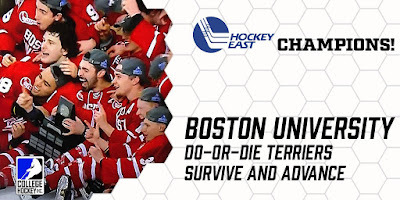 The third Hockey East team in the tournament, Providence, will meet Clarkson in the Eastern Regional in Bridgeport. - The first period went as I sort of feared the whole game would go. BU didn't look terrible, they just could generate the same offensive pressure off their forecheck. PC had a much better breakout than BU. While many of PC’s 18 shots came from the perimeter, Oettinger kept them in the game. - Then BU slowly took over and was the better team for pretty much the rest of the game, save for a couple spells in the third period. BU didn't dominate the way it did against BC, but had better opportunities. - After the first period, BU had a great breakout using the boards. I haven't seen them do that much all season, but it was very effective. - Glad to see the 4th line get lots of shifts. I thought they held their own overall. - Really happy for Oettinger. He definitely had his struggles earlier in the year. But he has been great down the stretch. Not too many goalies win the HE Title with a shutout, good for him. Normally calm and soft-spoken, he was fired up during the ceremony. - The TV didn't catch Tkachuk's premature celebration. When the clock stopped with a couple seconds left, he didn't hear the whistle, so he flung his stick way up into the air and leaped onto the ice. A PC player calmly swatted his stick out of the air. On the telecast you can just see the stick come flying into the picture. It was pretty funny. 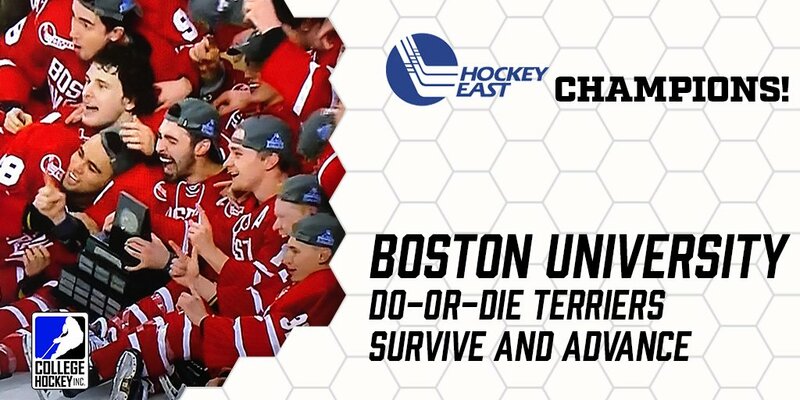 -Hockey East Champs! Who'd a thunk it? BU has a commitment for 2019 from 6’4” Omaha Lancers goalie Vinnie Purpura. 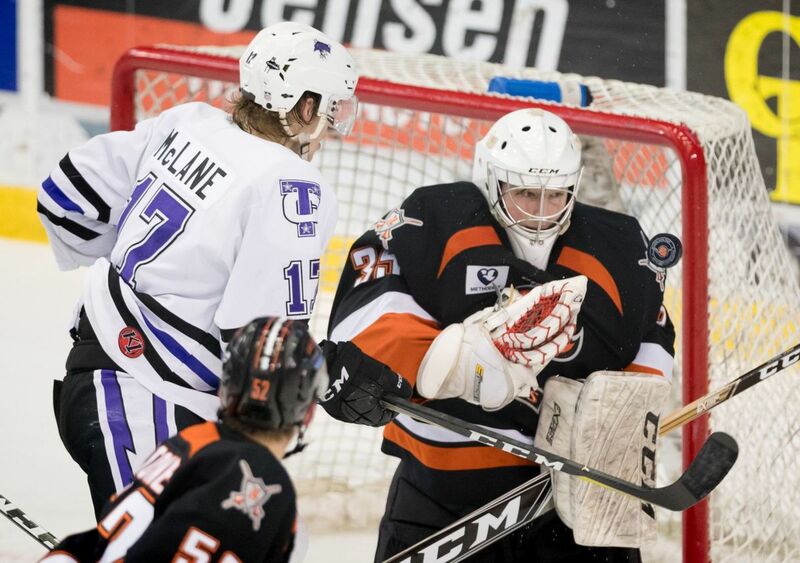 The Lemont, Illinois, native owns the USHL’s sixth best GAA (2.15) along with a .922 save percentage with an 11-3-1 record for the Lancers who are tied for first place in the Western Conference. Purpura began the season with the NAHL Johnstown Tomahawks, making 10 starts before before joining Omaha. Previously, he spent three seasons with the Chicago Fury U16 and U18 squads in the Tier 1 EHL. After going from Kings' scout to BU Associate Head Coach to Rangers Director of Player Development to Sabres Assistant, what is next for Steve Greeley?